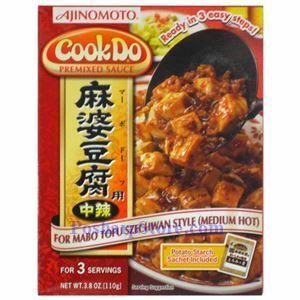 This Ajinomoto CookDo premixed mabo tofu sauce is made in Japan for cooking Sichuan style mapo tofu in three easy steps. It is a combination of fresh garlic with black-bean paste, red pepper and Szechwan peppercorns for the spicy, full-bodied flavor of authentic Szechwan-style cuisine. 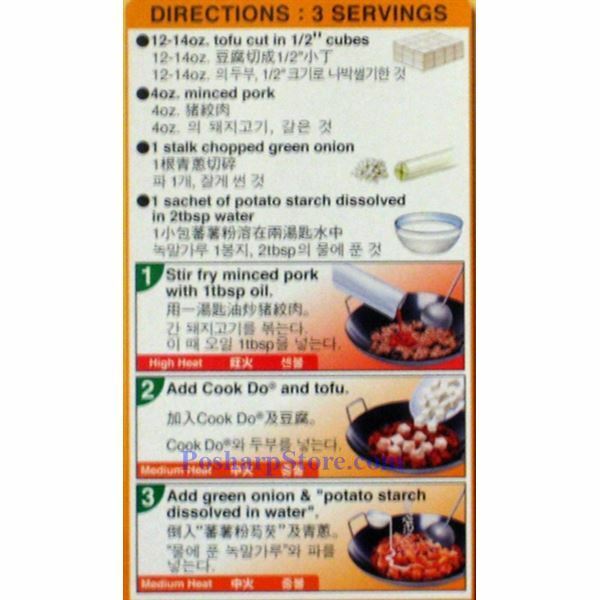 Simply add to stir-fried minced pork.